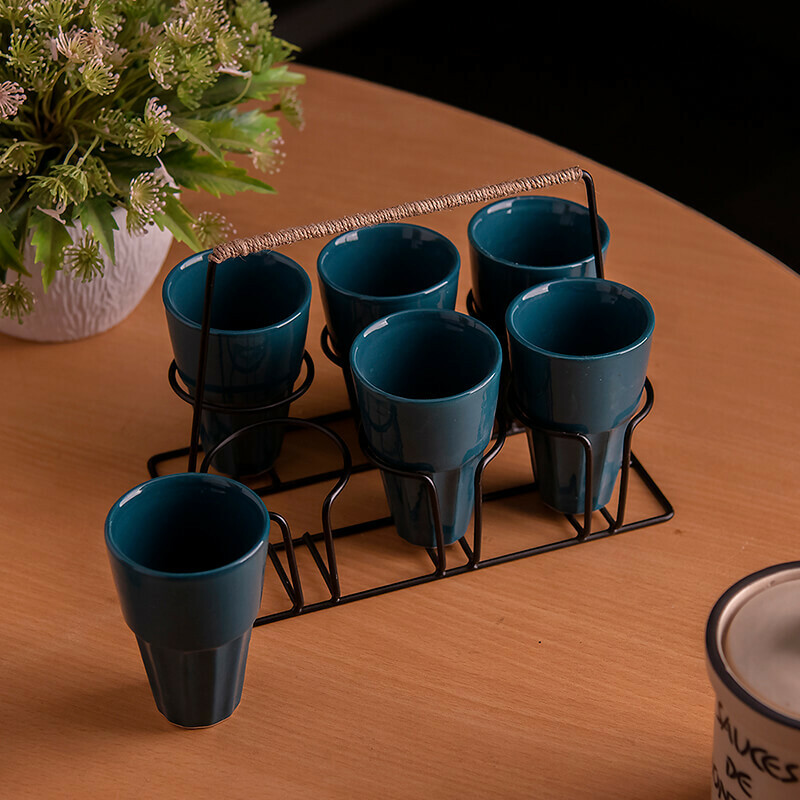 Why not serve your masala tea in style in our signature ceramic "Cutting Chai" set glasses.If chai isn't your thing or you aren't much of a chai drinker, you can always use these little cuties as shot glasses. 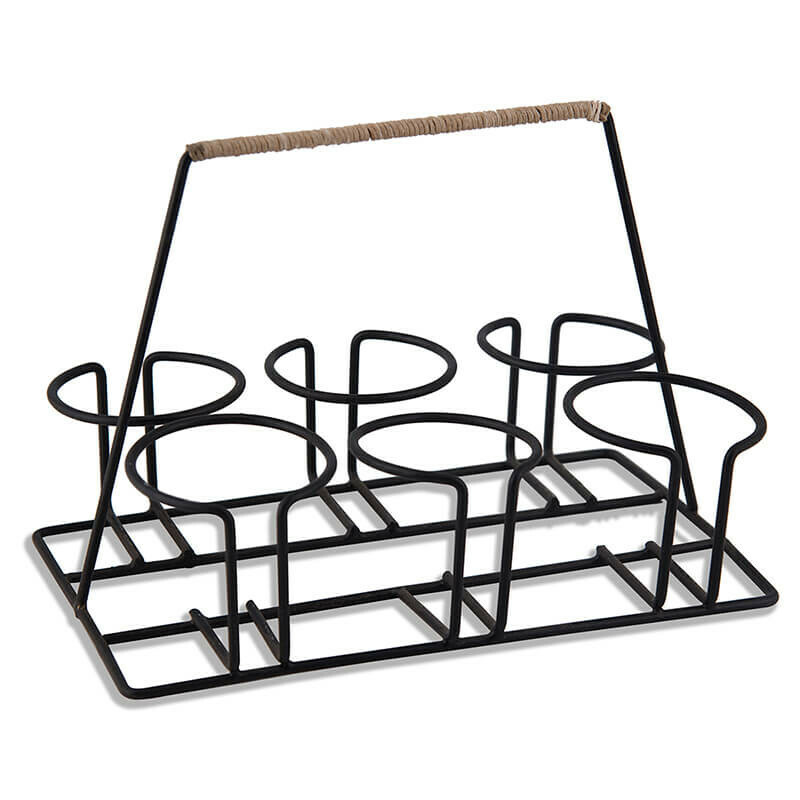 The handy stand makes it easy to serve and cute to carry. 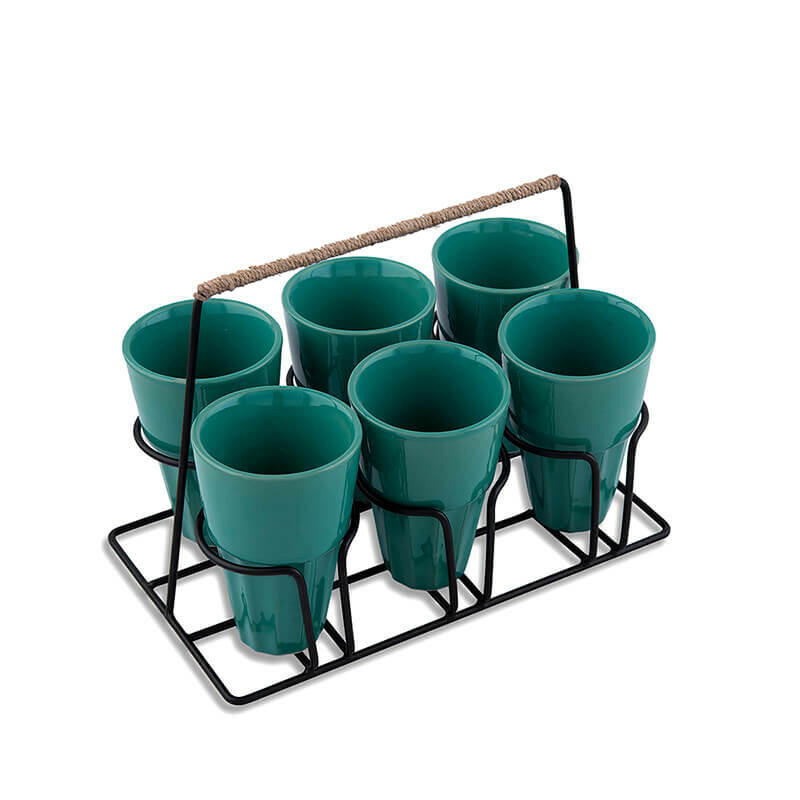 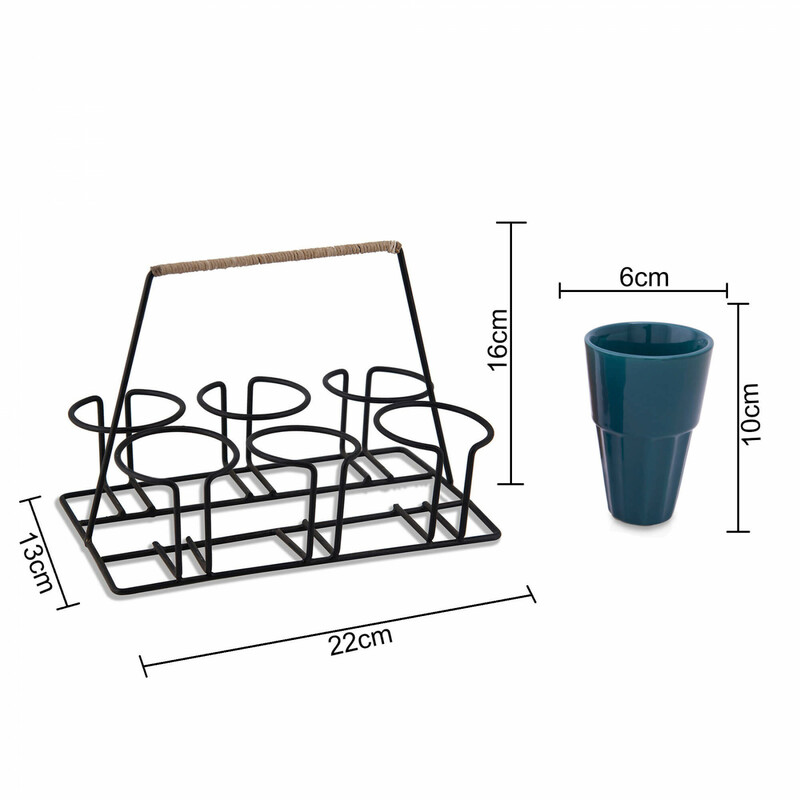 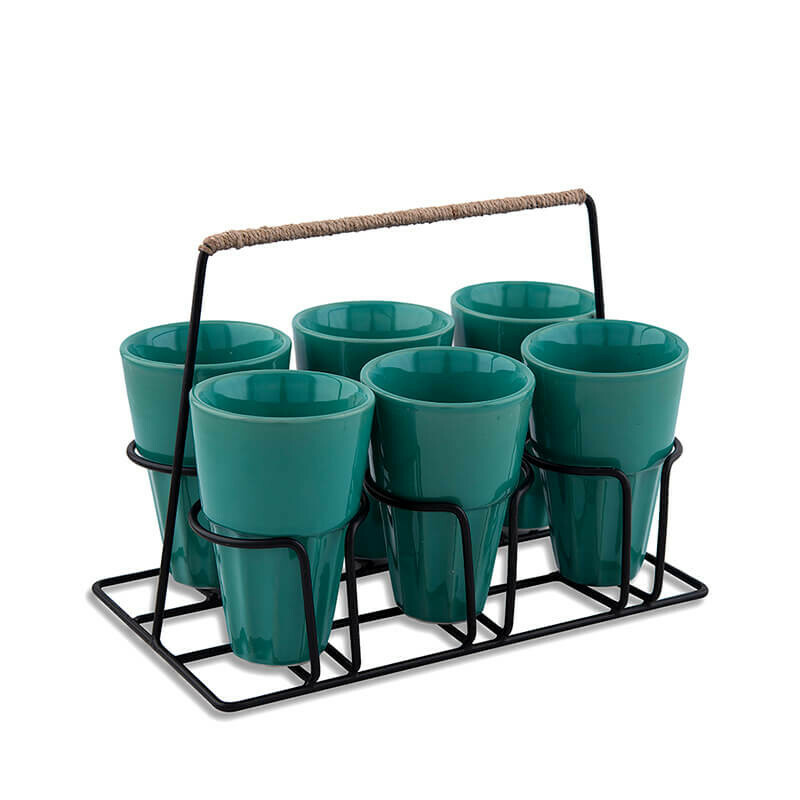 A set contains 6 chai glasses and one black stand.